Exclusive Pursuit Outfitters, LLC offers guided trophy elk hunts on both public and private land in Arizona. Arizona is regarded as home to some of the finest free range trophy elk hunting in the world. The bull elk tags in Arizona can be extremely difficult to draw, so if you are interested in a guided elk hunt it is best to a contact us as we are one of the most respected & accomplished Arizona Elk Outfitters. Exclusive Pursuit Outfitters, LLC resides in north central Arizona just a few minutes away from the heart of Arizona’s top producing trophy elk units. We have acquired many years of knowledge and experience in the top trophy elk hunt units over the years. Living so close to these areas allows our professional, eithical and highly experienced Arizona elk guides to spend the all-important time needed for scouting and locating world class trophy bull elk for our clients. Hunting and assisting in trophy elk kills year in and year out gives us an edge and the experience needed to effectively help you put a Trophy Arizona bull elk on the ground. As one of the top Arizona Elk Outfitters we have also have exclusive access to over 93,000 acres of private land for trophy elk hunting in Arizona. This property has produced several bulls in the 360-390 range with multiple bulls over 400+” in recent seasons. Including a 400 7/8″ gross scoring typical archery bull and a 403 5/8” official scoring non-typical archery bull. Each season we will only take a limited capped number of hunters on this property to ensure the highest quality hunting experience for our clients. 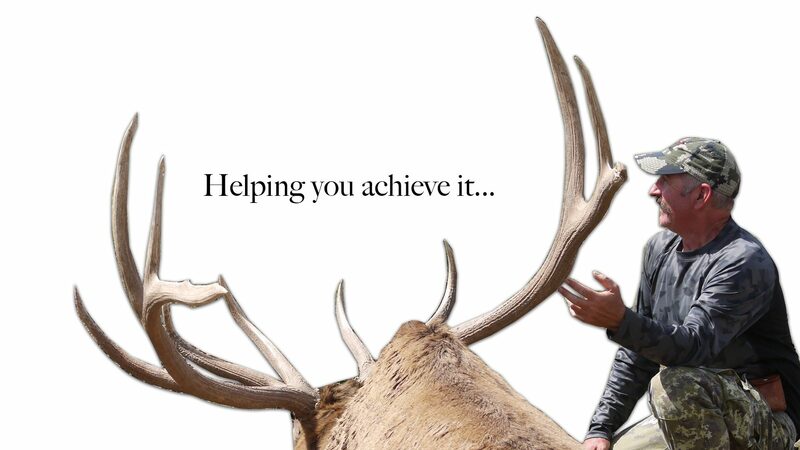 Our past clients have had world class once in a lifetime elk hunting experiences. We welcome you to ask for our past client references to get a review of the hunt experience with us. If you are interested in applying for any Arizona Elk Hunts, please contact us so we can make sure you apply for the appropriate hunt codes/units. Bull elk are one of nature’s most intense and exciting big game animals. One of the best times to hunt and take a giant Arizona bull elk is during the early season archery elk hunts that take place in September. This is the classic Arizona screaming rut hunt that every elk hunter dreams about but only a select few get to experience. The big bulls are in the peak of the rut and are more vulnerable than any other hunting season during the year. Hunting with a quality Arizona Elk Guide will drastically increase your odds to harvest a trophy bull elk, if you do not have the time or resources to scout. If you are a rifle hunter only, the most coveted bull elk hunts in the state are the early rifle hunts that take place during the rut the week after the early archery elk hunt. If you can beat the odds to draw this hunt it is the best trophy rifle elk hunt in Arizona. Tag numbers are very limited for these hunts and there are giant bulls taken each year. That being said a percentage of the mature bulls can and will have some antler breakage. It takes a lot of preparation and scouting to have plenty of options during this hunt, this where a quality Arizona Elk Outfitter can help you capitalize on this opportunity of a life time. Arizona offers the general late season rifle bull elk hunt that takes place in late November and early December. These Arizona late rifle bull elk tags are much easier to draw than early season tags but hunter pressure is higher due to the amount of tags given out for this hunt. These hunts take place in all the best trophy elk units in the state. It is a more difficult hunt, but those giant bulls still live there and you do have the chance of harvesting a big bull on this hunt. If you choose to hunt with Exclusive Pursuit Outfitters you will be hunting with a professional outfitter that has ethically guided clients to record book elk on both Public & Private Land. We have a limited number of Arizona elk hunts each year, so it’s important to contact us as quickly as possible to discuss your hunt. We know the premier top producing areas and have the experience to locate, field judge, and assist you in taking your Arizona trophy elk of a lifetime! Follow our Instagram & Facebook pages for the quickest Arizona Elk Hunting updates!